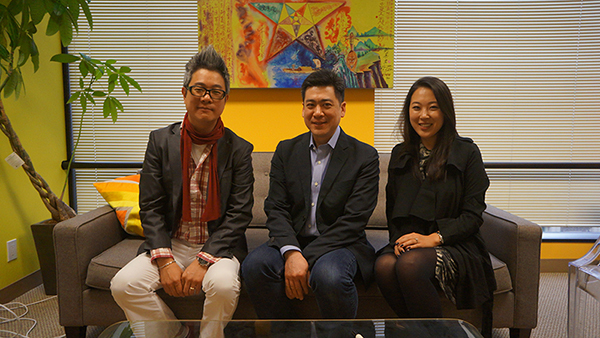 February 15, 2014 – The day after Valentine’s Day, the 3AF celebrated the Year of the Horse by holding its annual membership meeting in San Francisco. It has been a tradition for the 3AF to hold this meeting every year in the City by the Bay, during San Francisco’s annual Lunar New Year Parade festivities, which is said to be the largest outside of China. During the meeting, members discussed key 3AF projects and initiatives, including the 2014 3AF Asian Marketing Summit, and also held an open issues industry forum and voted for 3AF officers and board members. Elected for a two-year term as 3AF Vice President was Jay Kim, Managing Director, AAAZA (left). Jennifer Chung Kim, Director, KCM Kollaboration Creative & Marketing, (right) was also elected to the Board of Directors. Seated in the center is 3AF President, Edward Chang.